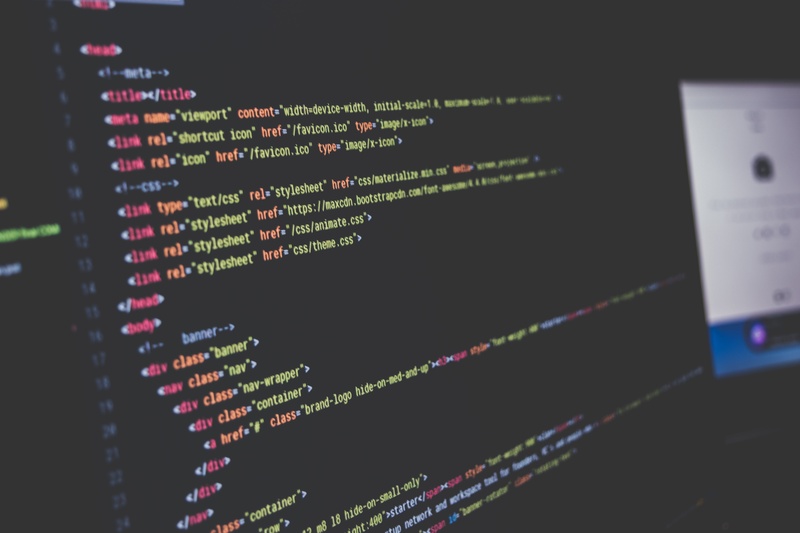 Have you ever thought about building a technology company using code school graduates as your founding employees or even as a co-founder? It’s tempting since a junior developer from a bootcamp can cost two thirds less than a senior engineer, but can a code school graduate really build what you need at such an early stage? Hiring a junior at the foundational level of your company is a huge decision since the early software you build is so crucial to the future scalability of your product. Decisions, decisions. What to do? 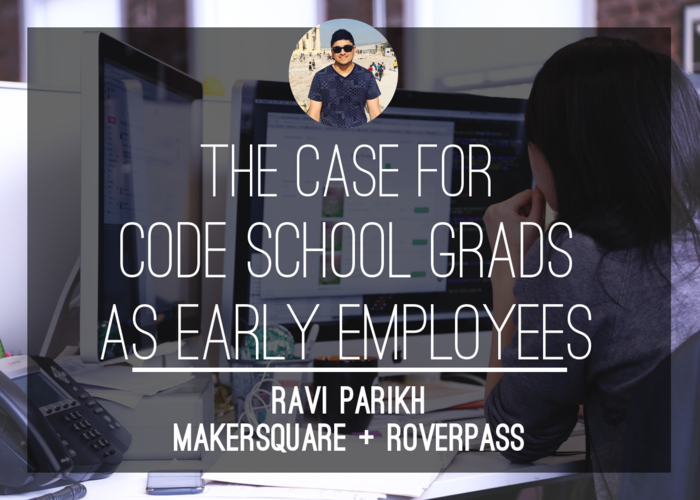 As the co-founder of a coding school, MakerSquare, I decided to put our program to the test and hired two graduates for my new company, RoverPass, and the payoff was tremendous. What I found was pretty interesting. It’s true that when you recruit from a code school the students are typically not computer scientists. They don’t understand theory the same way that a CS major would. Code schools teach concepts at a very practical level and often leave out many topics as the time to learn is crammed down to 10-13 weeks. What code schools do really well, however, is teach their students how to problem solve. Students are taught a basic level of engineering and then taught how to become professional Googlers. Since Google has answers to nearly every basic technology problem you can run into, students just need to know how to search and destroy the problems they face. Consider the language you’re using in job postings. You may want to reconsider requirements like “Computer Science degree” and instead focus on experience or motivation. During the interview, go easy on whiteboarding and algorithms; instead, ask the bootcamp grad to walk through their portfolio. Get to know the bootcamp’s students before the final hiring day. If you guest lecture or mentor early on at the bootcamp, you’re more likely to know which bootcampers will make excellent additions to your team. Since students come to code schools to learn new skills, you already know they’re hungry. The first few months of a bootcamp grad’s first job is so important. A couple things you can do to help them accelerate faster is to give them allowances for MOOCs and books on advanced topics, or send them to a workshop or conference once a quarter. A membership to Treehouse, Coursera, or Udacity can be an excellent resource to a junior developer in their first job. One gamechanger for us was bringing in a senior software engineer as a technology advisor. We gave him a small percent of stock in the company and he would sit with our junior engineers once a week for an hour or two and runs through any challenges they were facing. He would code review and help the juniors make the best architecture decisions. Ensuring that your new employees have a technical mentor is crucial, even when your team is small. The economic analysis of hiring a code school grad is also interesting. You’d think it would just save you money in the long run if you paid more up front for a senior developer. Doing so could save you architecture problems, along with the ability to develop at a faster rate. However, what the typical analysis does not take into account is the speed at which junior developers can become mid-level. Since it’s a startup, and they are exposed to every little detail of the stack, they ramp up much quicker. At a larger company, junior developers would become specialists in a very small detail of the stack. As a result, the ramp to become a mid-level developer was much faster. After six months they’re highly productive with greater outputs. By training your talent internally, you save a lot of money in the long run. The biggest indicator that this decision worked for RoverPass, though, comes down to funding. The product our developers built over the last year has helped us raise ~1M in funding. This is a story I think we’ll keep seeing over and over as code bootcamps become mainstream. I also believe you will start to see more and more founders of major venture backed startups originating from coding bootcamps. Now that there’s a steady supply of hungry engineers, I think we are entering a new era for the technology industry. 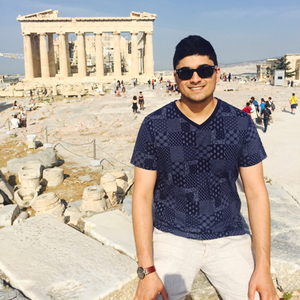 Find out more about Ravi's new company, RoverPass, and his first venture, MakerSquare! Ravi Parikh previously co-founded MakerSquare. He has since gone on to found RoverPass.com, a technology company with two code school engineers as his early development team.